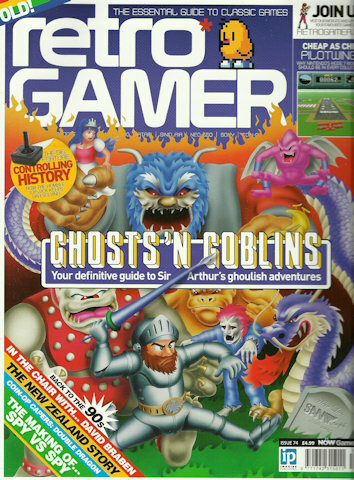 The latest issue (and backissues) can be bought at Imagineshop.co.uk. On May 22, 1980 Namco released Pac-Man to the Japanese arcades. The game was a great success, and after 30 years, we still play Pac-Man. The game have been converted and ported to every videogame format under the sun. Everybody knows about Pac-Man and it was an icon of the 1980s popular culture. I have found memories about the game, and still fancy it today. 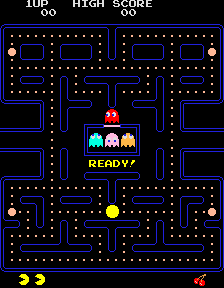 To celebrate Pac-Man’s 30th anniversary, Google made their logo a playable Pac-Man game. You can watch a YouTube-video I made playing the game. 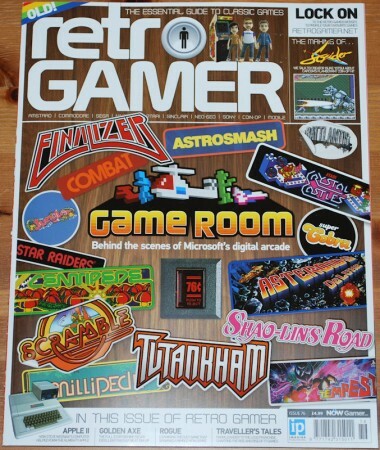 Retro Gamer can be bought from ImagineShop.co.uk. The 3D Dot Game Heroes for Playstation 3 coming this May, looks real cool. 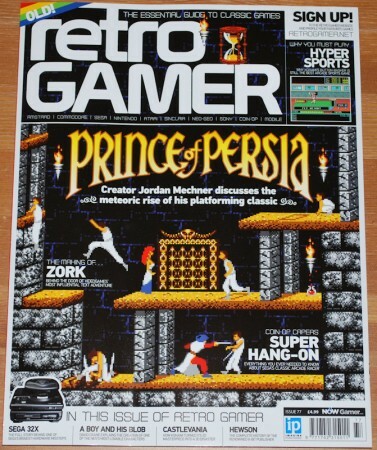 It’s like Zelda in dot matrix, very retro, very 8-bit, but still new and fresh. I really like the style of this game, and think it will have a great apeal on the older audience of videogaming, the gamers that had their youth in the 80’s and though that there never could anything better than 8-bit. Bellow is a trailer from the European PlayStation blog and a walkthrough from the US PlayStation blog. Retro Gamer can be bought from ImagineShop.co.uk. 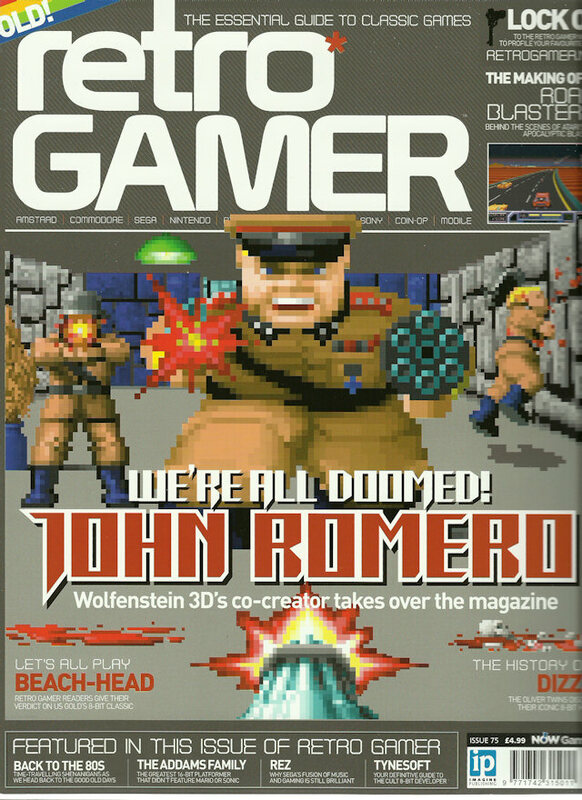 You could also check out RetroGamer.net. 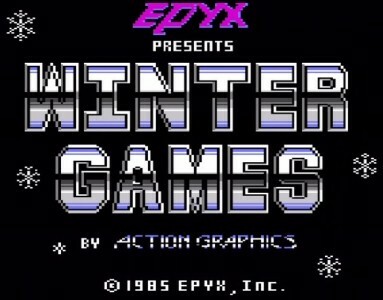 There is one gaming company that I do remember from the 80’ies, Epyx. They made a lot of good games. 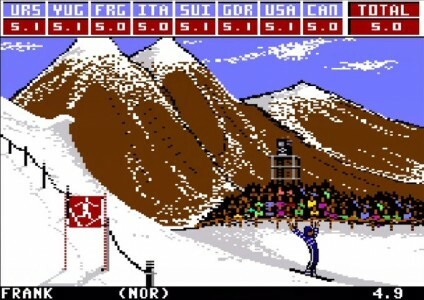 One, which I’m very fond of, is Winter Games on Commodore 64. The games was released on ‘all’ formats under the sun. 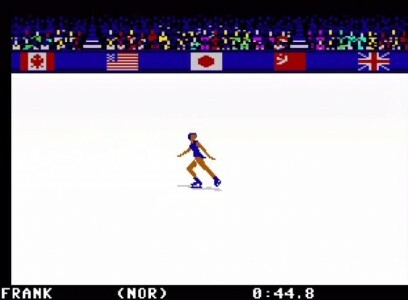 And since it’s time for the Winter Olympics in Vancouver, Canada, I thought it was time to digg the game up and make a small review of it. 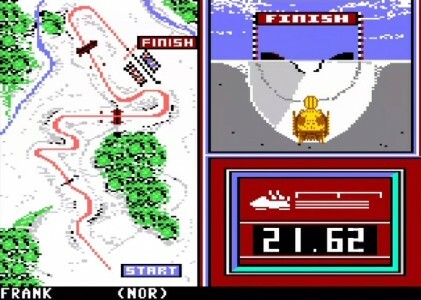 This is the emulated Commodore 64 version on Nintendo Wii’s Virtual Console (only available in Europe I think). Winter Games have 7 eventens, detailed bellow. 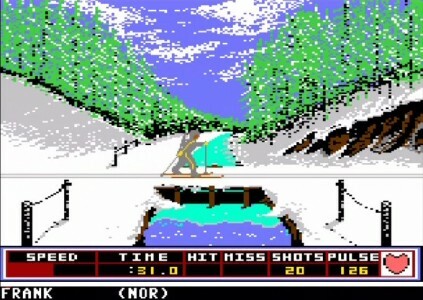 The games was released in 1985 and is 25 years old this year. Is the game still good? Yes, I think so. The graphics is quite blocky by todays standards. But all those 8-bit games have some sort of soul that many new games don’t have. 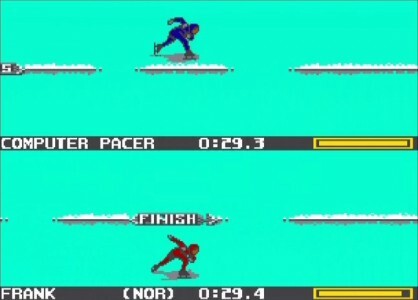 Remember that these games ran on a 64 Kb computer. It’s amazing what they achieved with so little memory. The characteristic C64 sound brings back good memories. The game emulates very well, it only lack a Tac 2 joystiq. Under my YouTube-video, you will see a small description of each event. This is a freestyle event. Make your twist and turns and try to land stright. Find a nice pace with the left button to get a good rythm of your skier. Watch your heart rythm since you will get tired and slow down uphills. It will also be harder to hit your target while shooting. This is one of my favourite events. This event is pretty easy. Find a good rythm with the left and right buttons, and you will win easy. You have 1 minute to do your jump and spins. Sounds easy, but you have to land stright to get good score from the judges. 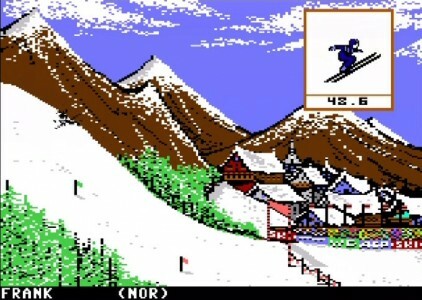 The key in Ski Jump is to time your jump right, have a nice flight down the hill and try to land standing. As you see in my video, this is something I’m not good at. 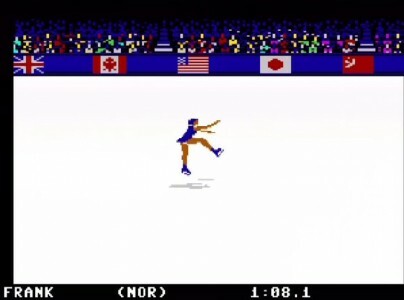 My only criticism to this game is that this event is the same as Figure Skating, except that you now have 2 minutes to do your athletic movements. This is my other favourite event. Learn the curves and when to press the button, and you will do great. In other words: Play some Winter Games. It’s still a great game after 25 years.